Click on image to see the whole infographic which outlines the findings of the report. Refreshing to see climate change called out as a factor. Finally, here is a great article about the AG: The Unstoppable Maura Healy. 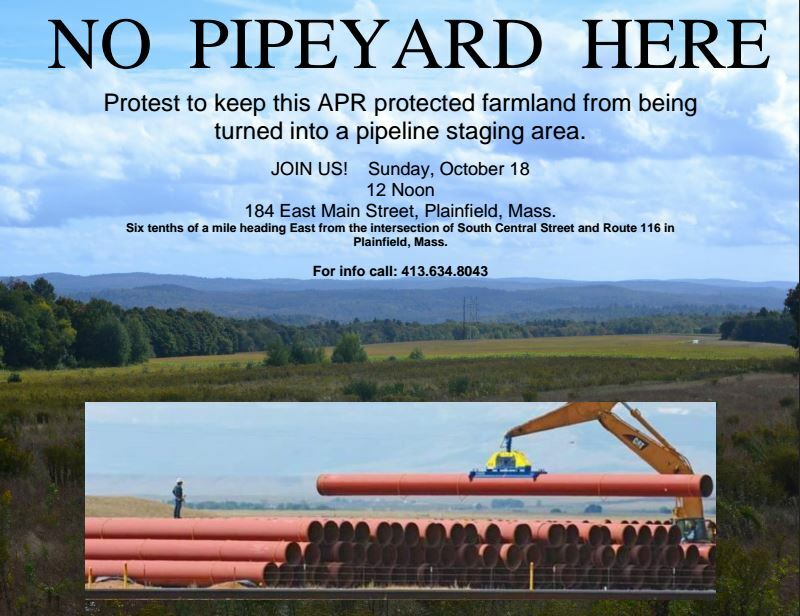 ACTION ALERT protest in Plainfield this Sunday Oct 18. PEOPLE NEEDED! Make your leaf-peeping count and head out to beautiful Painfield to lend a hand to our Painfield neighbors. Western MA says NO to Kinder-Morgan’s plans to take over our farmland! Kinder Morgan’s proposed pipeyard site is on 300 acres of land protected under an Agricultural Preservation Restriction (APR). An access road for trucks would be built through the field and the staging area would be used for other construction materials including explosives for blasting. Soil would be compacted by heavy equipment and trucks; soil contamination may result from storage of hazardous materials along with leakage of oil and hydraulic fluids. Here is a good one-pager info on Article 97. 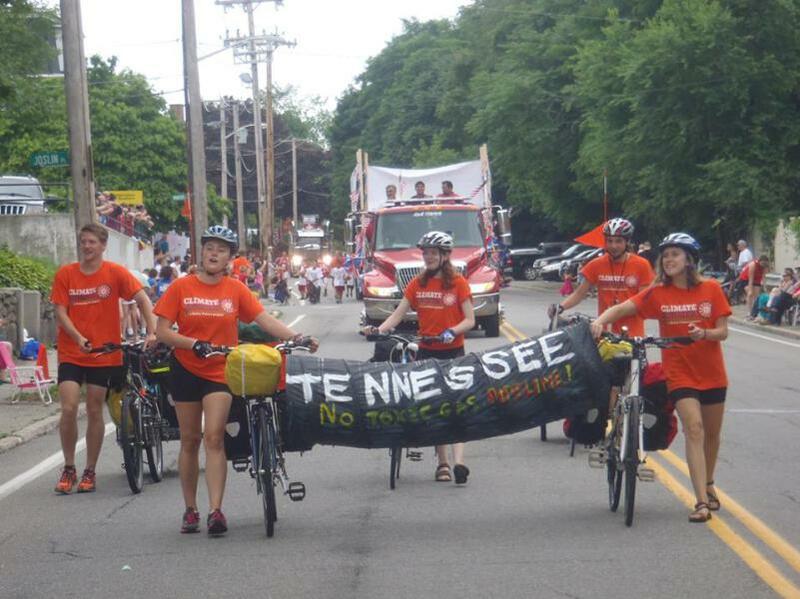 A tale of FERC, the MA constitution, and Kinder Morgan, from NE-PLAN. Ferocious Love Will Save This Place. Blockadia and Ferocious Love: This is how it’s done. The power of this ferocious love is what the resource companies and their advocates in government inevitably underestimate, precisely because no amount of money can extinguish it. When what is being fought for is an identity, a culture, a beloved place that people are determined to pass on to their grandchildren, and that their ancestors may have paid for with great sacrifice, there is nothing companies can offer as a bargaining chip. No safety pledge will assuage; no bribe will be big enough. 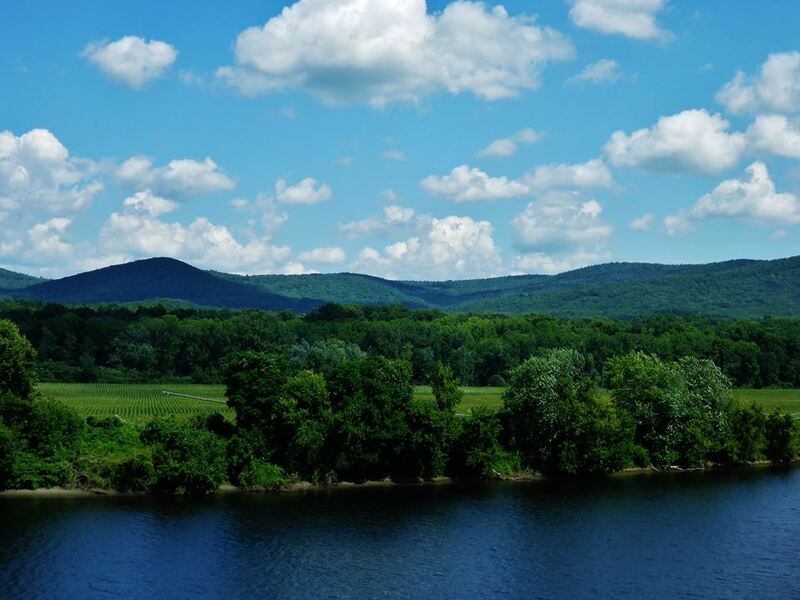 And though this kind of connection to place is surely strongest in Indigenous communities where the ties to the land go back thousands of years, it is in fact Blockadia’s defining feature. A weekly vigil has sprung up in Northfield at the proposed site of a compresser station. This action started with one or two people. Last week it was 25. Many people have been working tirelessly to stop the monstrosity that is the proposed Kinder Morgan pipeline. 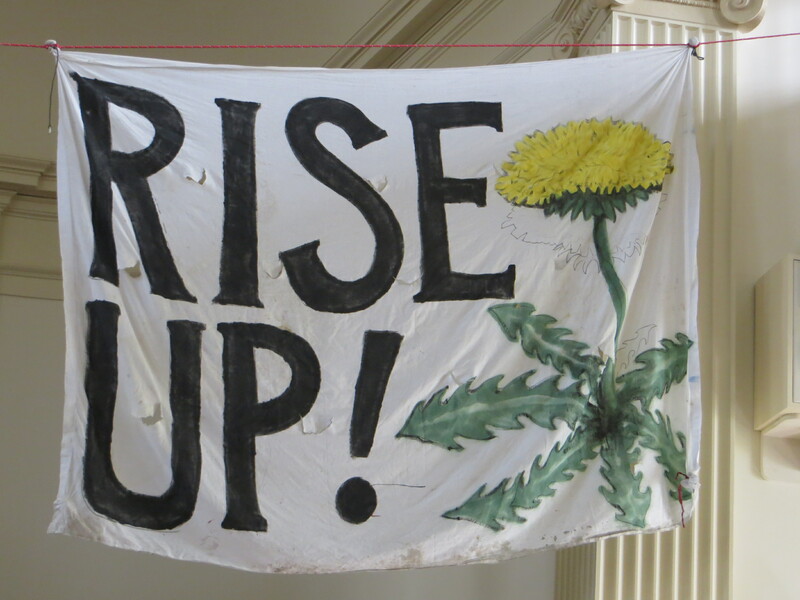 From understanding the complexities of the energy business, politics, and law, to spreading the word, making phone calls, contacting legislators, speaking up, writing, organizing, learning, documenting the fight and the beauty of this place, making signs and standing, standing up. This is the latest installation in our story of ferocious love for our land, the region, the habitat, the creatures that share this place with us, and our children. “Love will save this place”. Click here for an Yes Magazine interview with Naomi Klein, speaks about Blockadia. 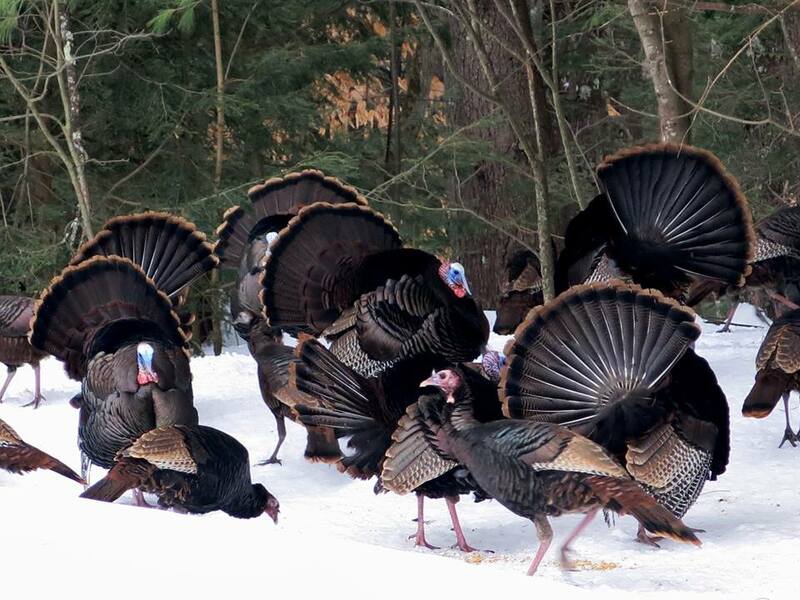 Thank you, Deirdre Derchin Olson for these gorgeous photos! Let’s show our federal regulators and the media what Western Mass is all about. We had hundreds of people show up at DPU meeting a while back. Let’s keep this momentum going – can we get 1000 of us in one place to really show what we think? Everyone! 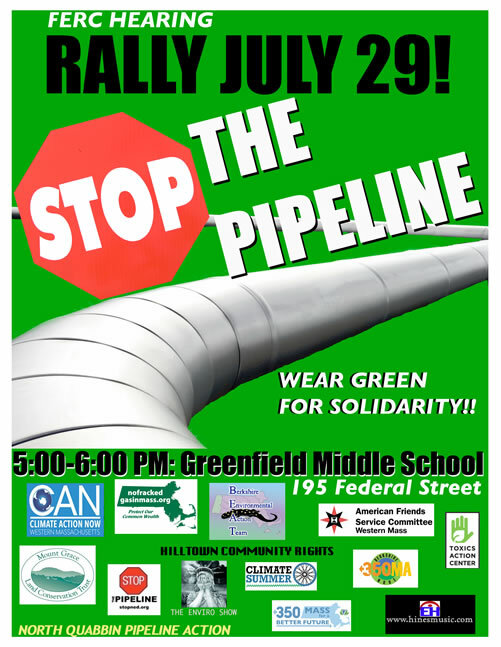 Show up to tell our federal regulators that Western Mass says NO to the Kinder Morgan Fracked Gas Pipeline. Wear GREEN, Come in costumes, and bring signs and banners. The Federal Energy Regulatory Commission (FERC) Scoping Hearing begins at 6:30 PM. Let’s pack Greenfield Middle School again with another overflow crowd! Invite your co-workers, neighbors, relatives and friends.This is our chance to ensure that FERC does its job and conducts a thorough environmental impact study (EIS) of the proposed Kinder Morgan fracked gas pipeline (Northeast Energy Direct or NED).FERC is asking for public comments on potential environmental, public safety and socio-economic impacts, reasonable alternatives, and measures to avoid or lessen negative consequences of the pipeline.Everyone’s voice is needed! You do not have to be an expert. Our job is to demand that FERC ask the right questions during their investigation. Please submit your comments in writing, whether or not you speak out at this meeting. Visit the No Fracked Gas in Mass website for further details. What a night! Thank you everyone who was able to make it out to the Department of Public Utilities hearing this past Thursday. 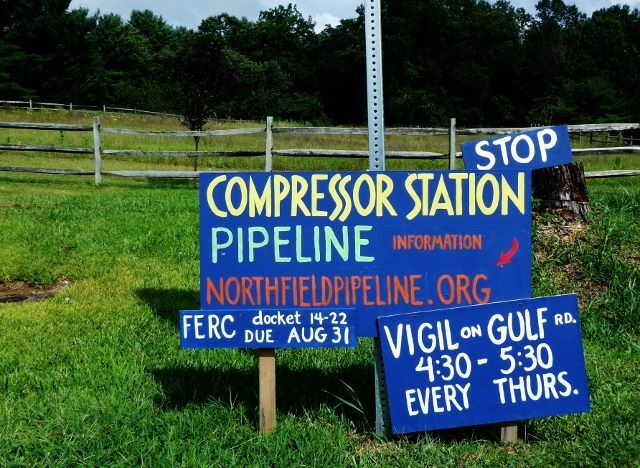 In a nutshell, Berkshire Gas needs approval for a contract to buy gas which would be shipped through the pipeline Kinder-Morgan is trying to build through Western MA. The DPU is supposed to determine whether this contract is for the public good. Here is a link to the video of the hearing. Watch it to see all kinds of varied, thoughtful, passionate, compelling, brilliant arguments by We the People. There are SO MANY reasons NOT to build this pipeline. How on earth can the DPU approve after a hearing like this?